I move from being disinterested to frightened about the state of our politics today. From seeing the impotency of the Labour Party (disinterested) to seeing Donald Trump stoke support via the rhetoric of fear and division (frightened). As someone who has spent more than the past decade campaigning, running for Parliament and leading election campaigns at every level of our party, I find myself politically weary and losing hope. Whether at home or abroad, the long term impact of Reaganomics and Thatcherism – followed by the hope but ultimate over-heating of Third Way economics and the period of austerity that followed – has resulted in a globalisation that has driven inequality and fuelled the anger of those that have been left behind. The haves and the have-nots – be they educational, economic or generational – are at the centre of the future, or failure, of the Labour Party. Young people indebted by education with little prospect of home ownership and referring to the history books to understand what an “end of salary pension” means, are rightly angry. Those that haven’t benefited from higher education, see manual and skilled jobs being moved offshore or see themselves being undercut by the forces of unfettered globalisation, whilst the cost of private rented housing – for most, the only option – goes beyond their available income. These long-term economic shifts in the labour market, the distribution of wealth and the ability of politics to do anything about it potentially leads us down a dark path. The Labour Party has a vital role to play. It must step up and lead, and get it right. Failure to do so will strengthen the Tory right and embolden UKIP in our heartlands to follow the path of Trump – blaming “them” instead of finding the solutions that we achieve together for “us”. It’s for these reasons that I understand why so many members in the Labour movement support Jeremy Corbyn – they want a bolder more radical politics that stands up and leads for the interests of the many and not just the few – but it’s for exactly that same reason that I see no other option but for him to now go. Our political system requires us to secure a majority of MPs in order to form a Government. The job of the Labour Party is to be in power. I know from my own experience of talking to thousands of marginal seat voters in a marginal parliamentary constituency, that our offer must be credible, costed and realistic. Voters expect us to put forward a credible candidate for Prime Minister. These requirements are especially true in the marginal seats we require to win in order to be in Government. Yet on all of these requirements, the Labour Party today is failing. I am unable to see a solution to our current check-mate in Parliament. I respect the democratic conclusion of those that voted for Jeremy Corbyn but I also respect the founding purpose of our political party in Parliament. Let’s not put a century’s worth of effort – and the dreams of our political forefathers – to waste. We can’t afford to leave a vacuum of leadership. If we do so, it will be filled with the voices of anger, fear and division. If we are not functioning as a political party, we will be left impotent to that challenge: merely observers of an unwelcome direction of travel in Britain, instead of being the drivers of change. We must step up and show how a Labour vision for Britain can make the real difference that people are looking for. A commitment to building a new generation of council housing, whilst continuing to support those that want to buy. Investment and reform of our public services. A promise that every young person will get the education and training they deserve, whilst taking an active approach to industrial policy to create and protect the jobs and working conditions our workers need. We must also step up and show that intolerance and division is not welcome in our modern Britain, and that our leadership will prevent the decline in this cultural acceptance. 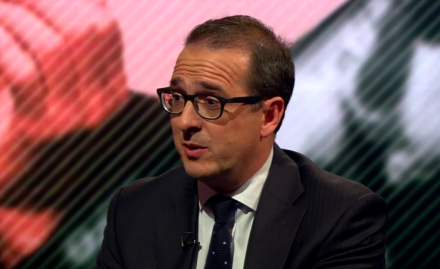 So when Owen Smith talked about prosperity and not austerity, and announced his £200bn New Deal for Britain, I moved from being disinterested to being interested in the Labour Party once again. When Owen talked about re-writing Clause IV to put tackling inequality at the heart of everything that we do as a Party, I moved from being interested to wanting to help. And when Owen talked about strong leadership and uniting our Party, I moved from wanting to help to writing this article. I don’t claim to be an expert. I know many will disagree with some of the things I’ve said. And I am very alive to how difficult winning the next General Election will be – regardless of who wins this leadership election. Without Scotland, and without the Liberal Democrats winning seats from the Tories in the South that we’re not competitive in, the next General Election is going to be an Everest of a climb for us. And that’s without the proposed boundary changes which will see us lose the most seats in the House of Commons. Regardless of the scale of the electoral challenge – or of the political challenge before us in creating a Britain of the future that is open, progressive and works for us all – I ultimately hate being a Labour Party member with disinterest and fear. I want to be one filled with hope once again. And that’s why I’m backing Owen Smith for leader. Darren Jones was Labour’s parliamentary candidate for Bristol North West, chaired election campaign for Marvin Rees, Labour’s Mayor of Bristol, and was a regional chair for the Andy Burnham for leader campaign. Darren Jones was Labour's Parliamentary Candidate for Torridge and West Devon at the 2010 election. He blogs at The Advocate Socialist and tweets at @DarrenPJones.